Posted in Actividades complementarias, Biblioteca, Curso 2018-19, Inglés on diciembre 17, 2018 by admin. Here are the photos of the awards of this year’s Halloween Classroom Decoration Contest. Posted in Actividades complementarias, Curso 2018-19, Inglés on diciembre 16, 2018 by admin. They all had discounts in our book fair. Thank you so much for your contributions. See you in next year’s contest. This year the making of wonderful pumpkins at our IES attracted a few creative students… Here you are the amazing work and final designs!!! Elisabeth Cortés, Estela Fernández, Alba López, Irene Rodríguez, Celeste Prieto, Lucía Lozano, Rubén Escañuela, Ariana López y Alexandra Scridon. The best pumpkin belongs to Estela Fernández, in the first pic. P.S. Sorry for the inconvinience but we forgot to mention Rubén Illescas (2º D) who also took part in the contest. Our most sincere apologies. Good job! Posted in Actividades complementarias, Bilingüismo, Curso 2018-19, Noticias, Noticias del centro, Noticias del Dpto. de Inglés on noviembre 13, 2018 by admin. For the second year, our ESO students at Julio Rodríguez Secondary have been working very hard during these weeks preparing their classrooms for 31st October. Thank you so much for your team-work, your cooperation and the fun we all had when we watched your thrilling decorations! 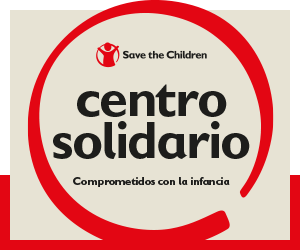 Posted in Actividades complementarias, Bilingüismo, Curso 2018-19, Noticias del centro, Noticias del Dpto. de Inglés on noviembre 12, 2018 by admin. Posted in Actividades complementarias, Bilingüismo, Curso 2018-19, Noticias, Noticias del centro, Noticias del Dpto. de Inglés on noviembre 12, 2018 by admin.